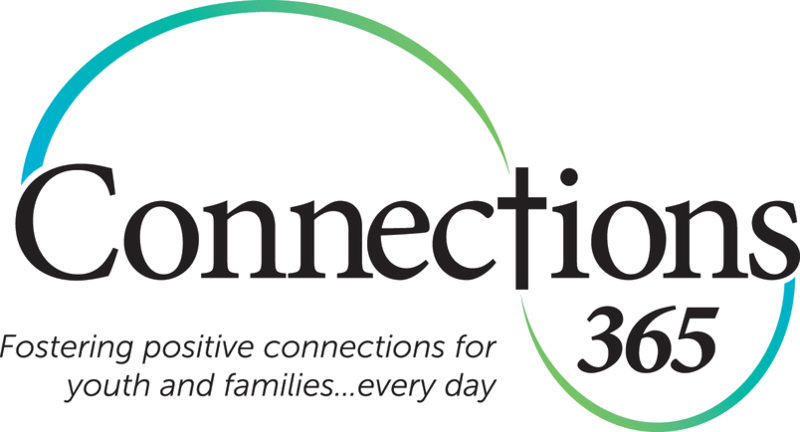 Learn how you can join with Connections365 in our mission to serve Oregon’s neediest youth. 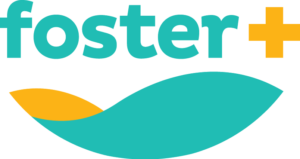 This event will feature a breakfast buffet, guest speakers, and more. 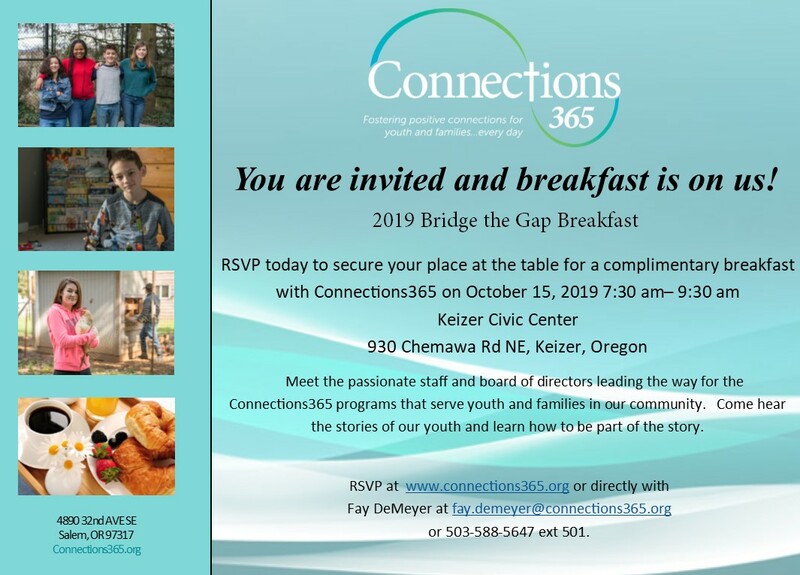 Please contact Fay DeMeyer at fay.demeyer@connections365.org or 503-339-5225. Use this form to register for Connections365 Bridge the Gap Breakfast Fundraiser.